Whether you actually watch the game or you’re just there for the commercials, every football viewing party needs snacks! 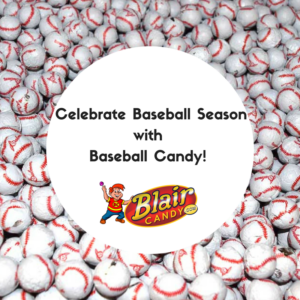 Blair Candy has a variety of sports candy that’s perfect for the big game. 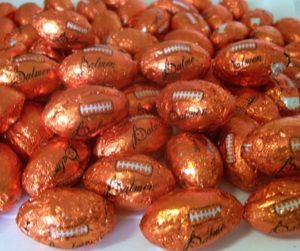 From little football chocolates, jawbreakers, or even specialty jaw breakers, we have what you need to enjoy watching. Are you throwing a big get together? Be sure to check out our bulk colored candies and snacks! Pick out candy in your team colors to create the perfect candy bar or grab a variety of snacks for your buffet. 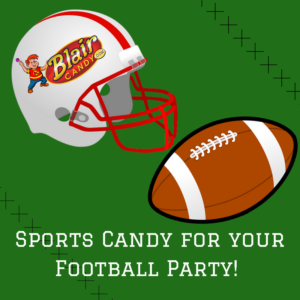 Just be sure to order your sports candy and snacks today to get ready in time for kickoff! Shop now at BlairCandy.com! 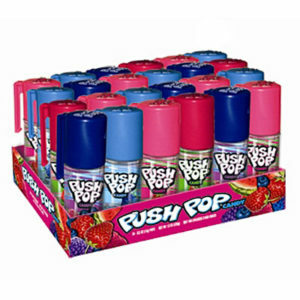 Give a Sweet Corporate Candy Gift! If you run a business, you know how hard it can become to think of new and exciting gifts to give to your employees and clients. You’ve gone down the typical route and simply can’t think of anything new to have engraved, and now you’re stuck with nothing to give that shows your appreciation for your employees. Don’t worry! At BlairCandy.com, we have some ideas we think are perfect for your company. Why are they perfect? Well, they all involve our delicious candy! We’ve curated a special selection suitable as corporate gifts for anyone at your business or organization. Here are just a few of our yummy corporate gifts! Do your employees love to reminisce about the good ol’ days? 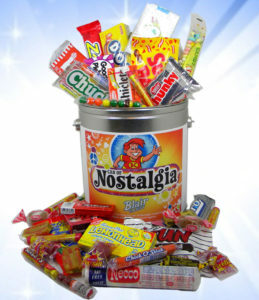 Or perhaps you run a nostalgia shop and want to keep that theme running for your gift. 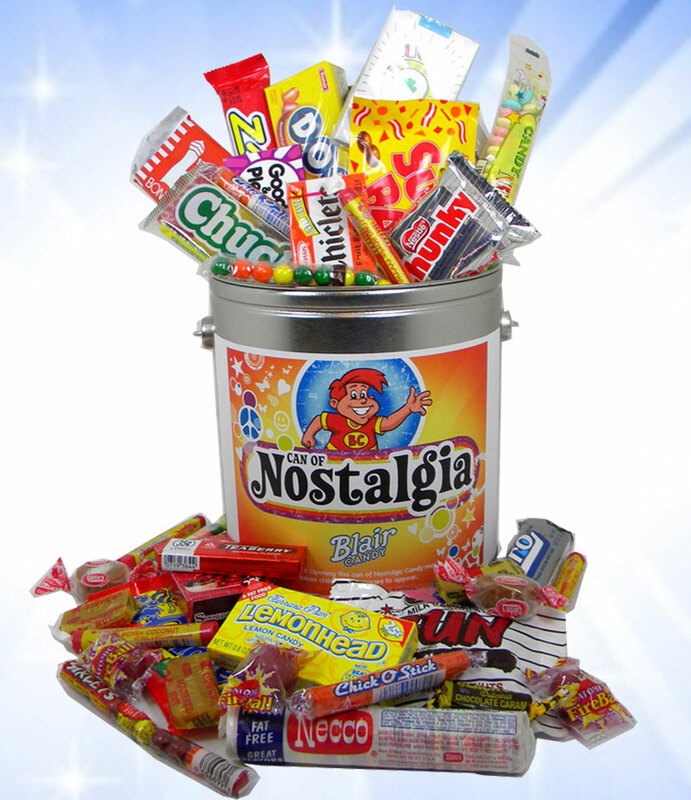 Take a look at our Can of Nostalgic Candy! We packed our favorite old fashioned candy into a reusable tin for lovers of yesteryear. 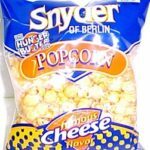 Everyone loves a great movie, and what goes better with movies than tasty snacks? Our Movie Theater Candy Gift Tub puts all the candy you love to get at your local movie house into a great plastic popcorn tub that you can use again and again! Batter up! Every workplace has the guy or girl who simply can’t get enough baseball. 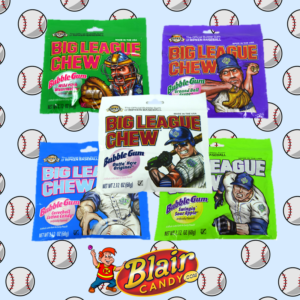 Why not treat him or her with our Can of Ball Park Treats? 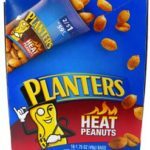 Specially crafted using hand-picked fan favorites, this tin features everything you need for a great afternoon at the ballpark. What a home run! 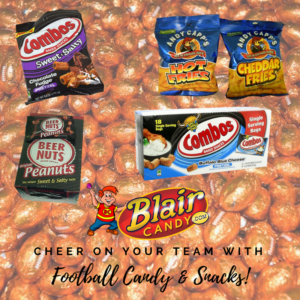 Stock Your Concession Stand With Sweet Football Candy and Salty Snacks! 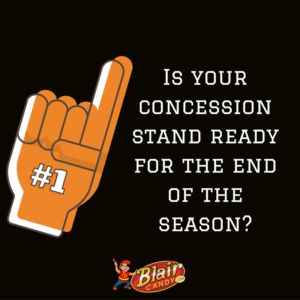 So what are the consequences of a poorly-stocked concession stand? 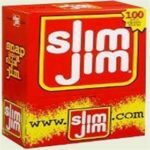 What is the worst that can happen if you run out of popcorn or never even order Slim Jims? YOU DON’T EVEN WANT TO KNOW. It may start with an empty seat in the stands here and there that used to be filled, but with each passing week less and less people, and more and more empty seats in the stands, will become the norm. In time, the stands themselves will fall apart from depression, for all their joy lives in the excitement of the fans! And then, of course, there are the football players, coaches and mascots. Have you ever seen a mascot shuffle aimlessly about the football field as though his whole purpose in life has been ripped away? Have you ever seen a player score a game-winning touchdown only to look out into the empty bleachers and realize it went largely unseen? No…you wouldn’t see that. Because you wouldn’t be there to see it, and no one else would either! And why? For what? Because someone forgot to place an order, followed by forgetting to place another order, and before anyone knew what happened the concession stand was full of nothing but forgotten dreams and absence of hope. 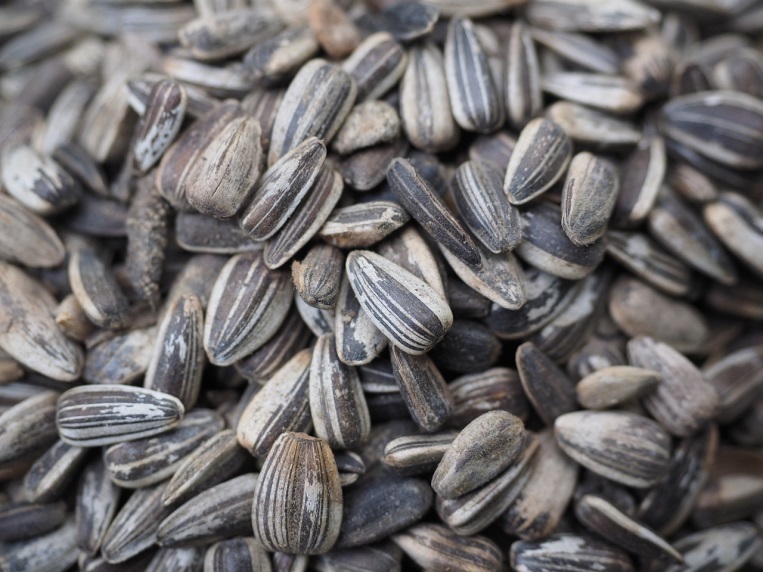 The entirety of ‘town spirit’ may be depending on your well-stocked concession stand. OK, we may be exaggerating just a little! But do you want to risk finding out for sure when prevention is just a few clicks away?! We can promise that the temperature climbing into the single digits won’t keep us away from a football game. We can even promise that we’ll pack extra hand warmers in case the game goes long. But by golly, we can’t promise we won’t be forced to venture elsewhere in pursuit of Planters Peanuts if they aren’t available. And that’s just the football-lovin’ truth!